This zombie apocalypse title is now the fastest selling original title on Xbox Live. State of Decay, the zombie apocalypse title that sold 250K copies on Xbox Live in two days on word of mouth alone, has now bust through the half-million sales mark. 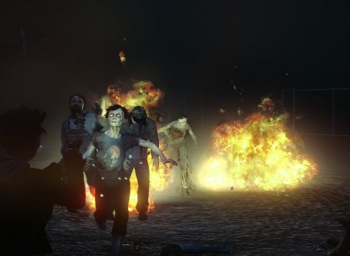 That makes it the fastest selling original game ever, on Xbox Live, and developers Undead Labs couldn't be more pleased with its zombie-loving title. "We're thrilled and humbled that gamers are embracing the game," says Undead Labs' Jeff Strain, as he dropped some hints as to what gamers could expect in the future. There is a PC release in the works via Steam, which has been in development alongside the Xbox 360 version since the beginning. "We just need to integrate with the Steam platform and add native support for keyboard and mouse control," says Strain, and then Undead Labs will infect your PC with zombie goodness. Strain also said that Undead Labs has further plans for its FateEngine, but wasn't about to let anything significant slip. "I can tell you we're working on a sandbox mode designed to be a pure survival simulation," said Strain, but he refused to go into any depth, saying only that Undead Labs' development priorities would be guided by the fans. State of Decay is currently an Xbox Live downloadable title only, and will set you back 1600 Points, or about $20.